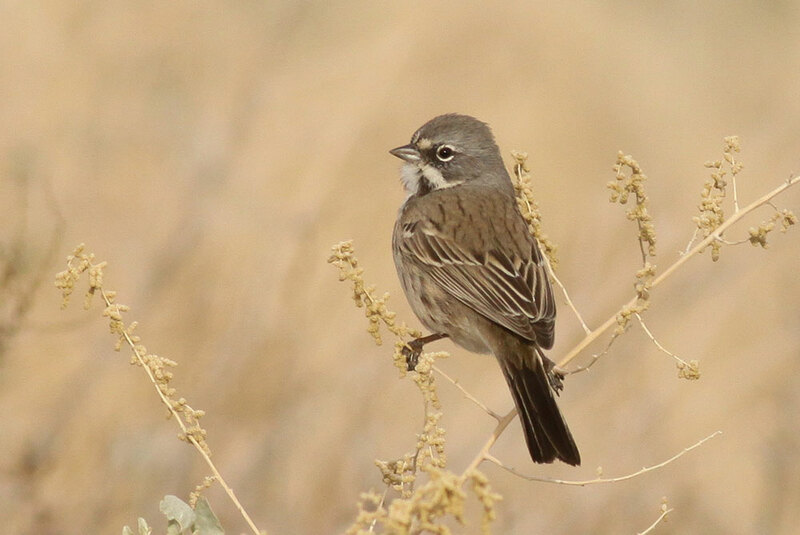 Of the most recent AOU splits, the Bell's and Sagebrush Sparrow split has been one of the more headache-inducing identification challenges for southwest birders. 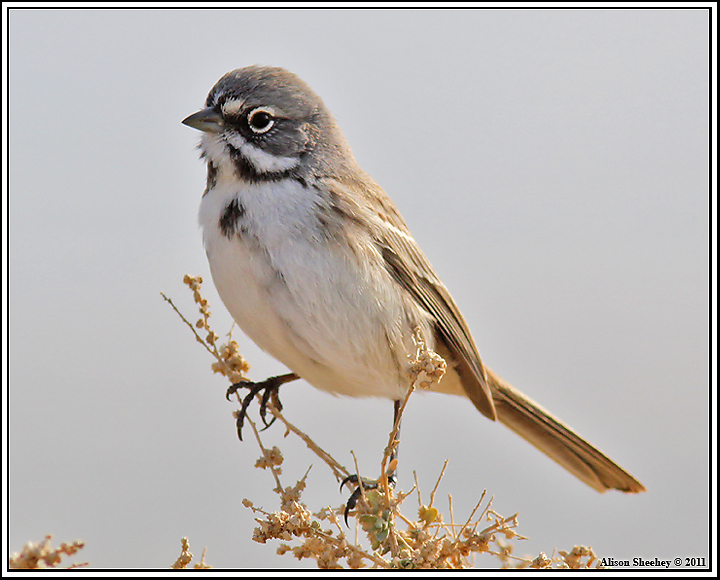 In 2013, the AOU’s 54th supplement split Sage Sparrow Artemisiospiza belli into two species; Sagebrush Sparrow A. nevadensis and Bell's Sparrow A. belli. 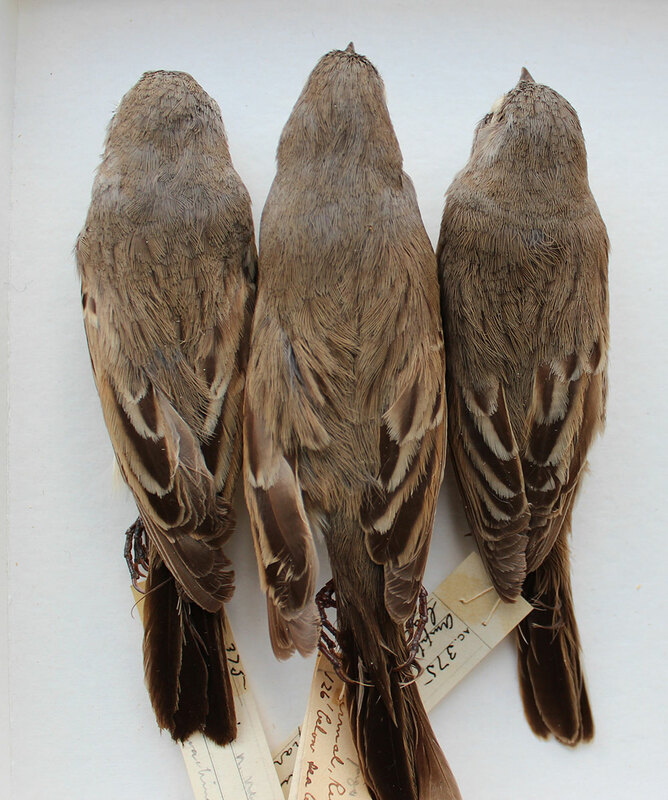 Bell’s Sparrow consisting of subspecies belli, canescens, cinerea, and clementeae. 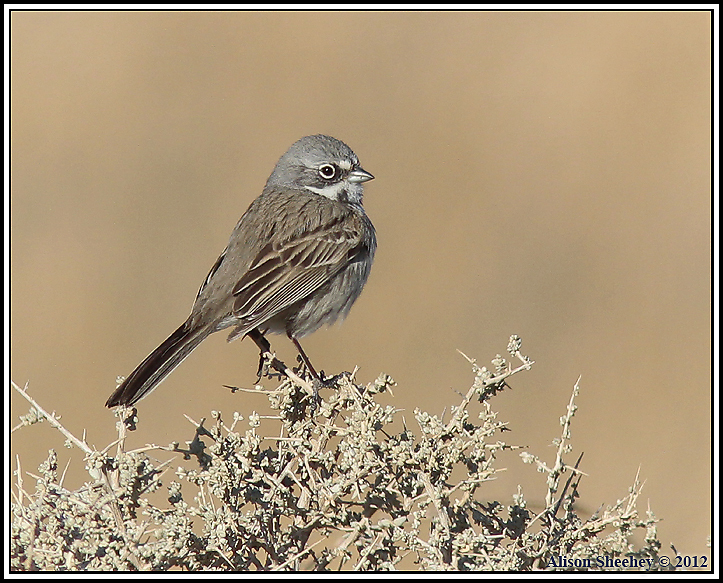 Separating nominate Bell’s belli from Sagebrush is straightforward based on both plumage and range. 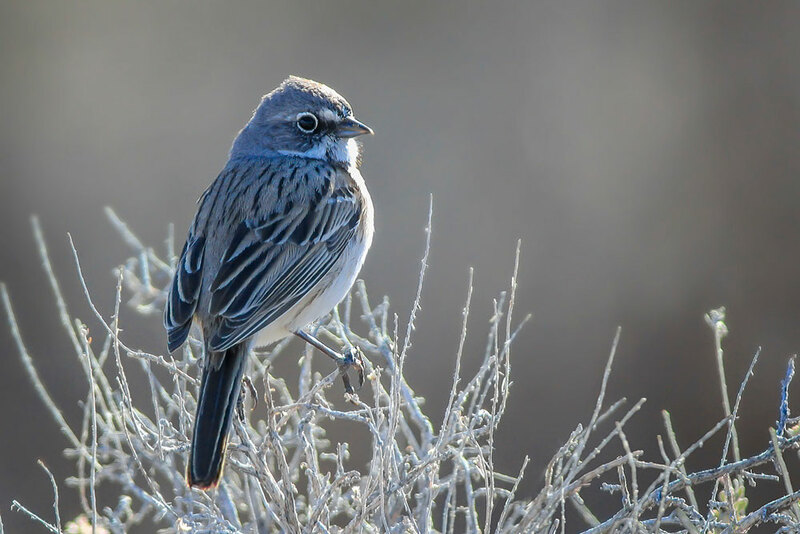 However, separating the interior Bell’s canescens from Sagebrush, especially where the two species overlap in winter in the California, Nevada and Arizona deserts can be a much harder problem to solve and has been frustrating birders across the southwest. 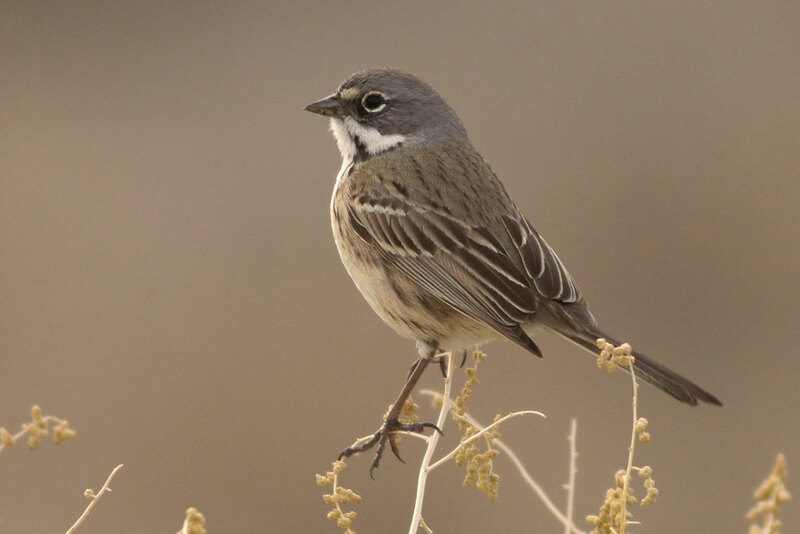 Scouring through southwestern desert, winter eBird reports reveals a good degree of uncertainty about the acceptable characteristics separating the interior Bell's canescens from Sagebrush. 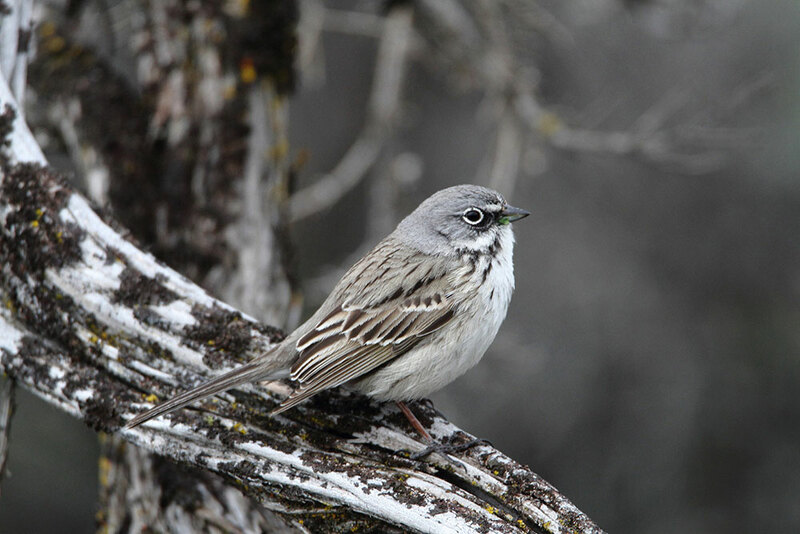 The common approach, which many observers seem to adopt, is that birds with well-streaked backs and weak, less-contrasting grayish malars are Sagebrush Sparrows and birds with relatively unstreaked backs and or blackish malars that contrast with the gray head are Bell's Sparrows. However, while this may not be incorrect, this is simplistic and there does appear to be some overlap in both back-streaking and the color and extent of the malar that is not fully appreciated by all observers. 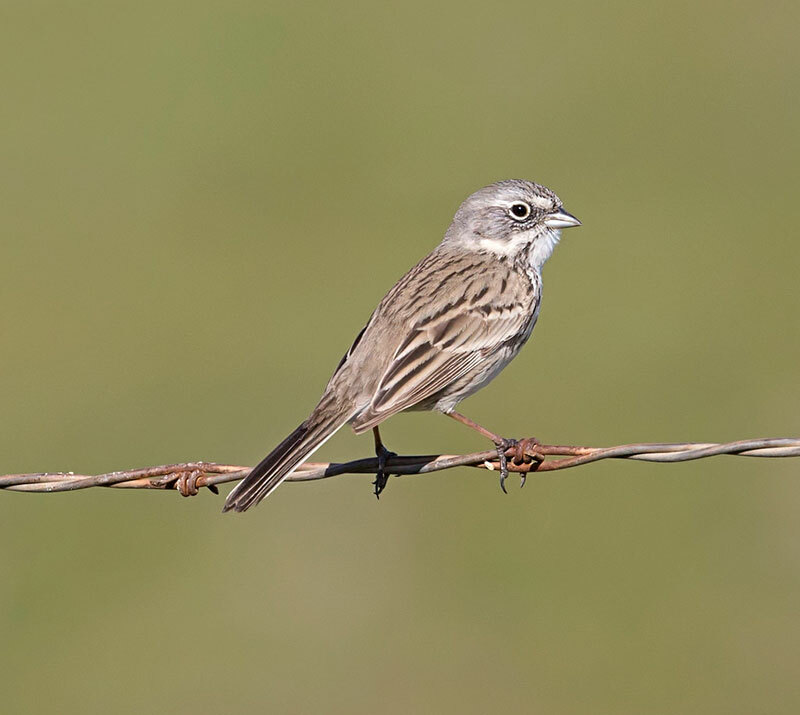 To highlight the difficulties of this ID conundrum, Patten and Unitt have argued that canescens and nevadensis are inseparable and weren't even good subspecies before the species split. However, Cicero and Johnson did counter this argument. 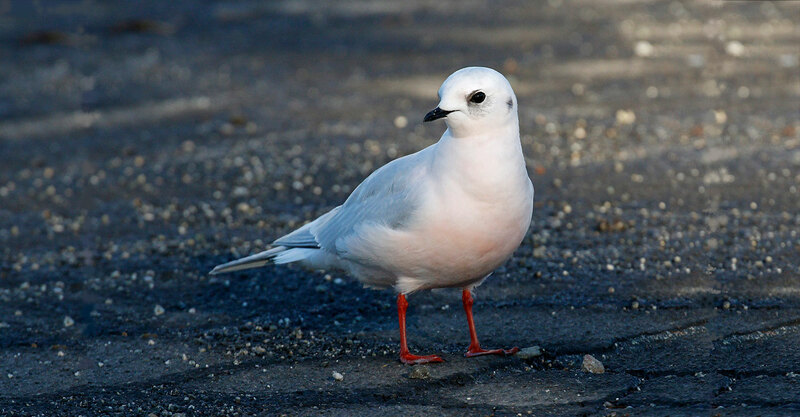 Based on our current knowledge, it is probably fair to say that many wintering birds should be left unidentified and that perhaps only those most well-marked individuals can be more confidently assigned to species. 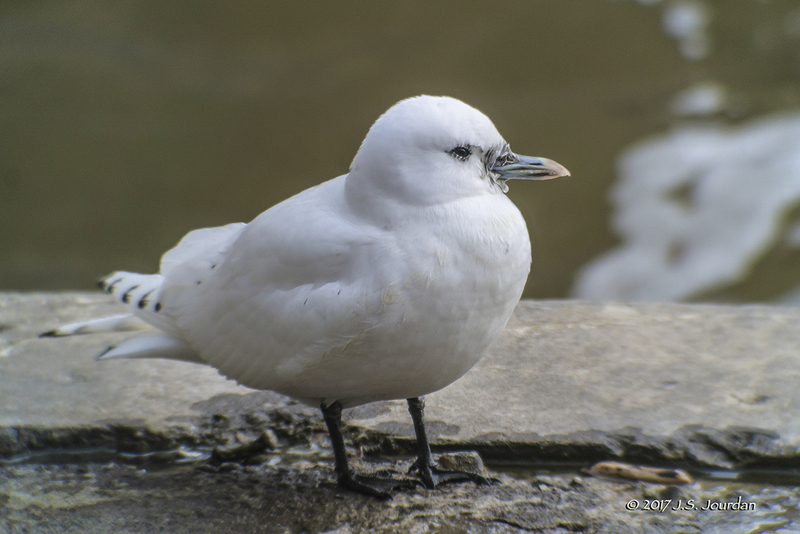 eBird takes this approach, acknowledging that it may only be possible to separate the most well-marked individuals with good photographic evidence. 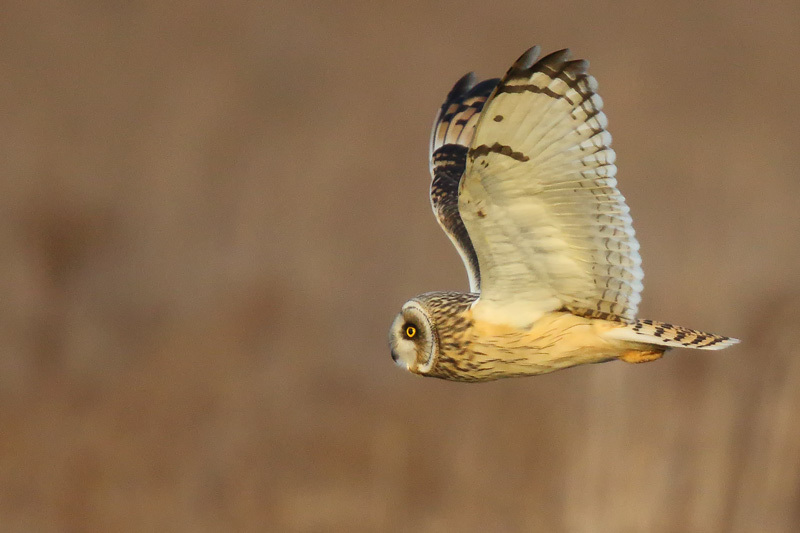 There are already some excellent identification summaries both on the web and in print. 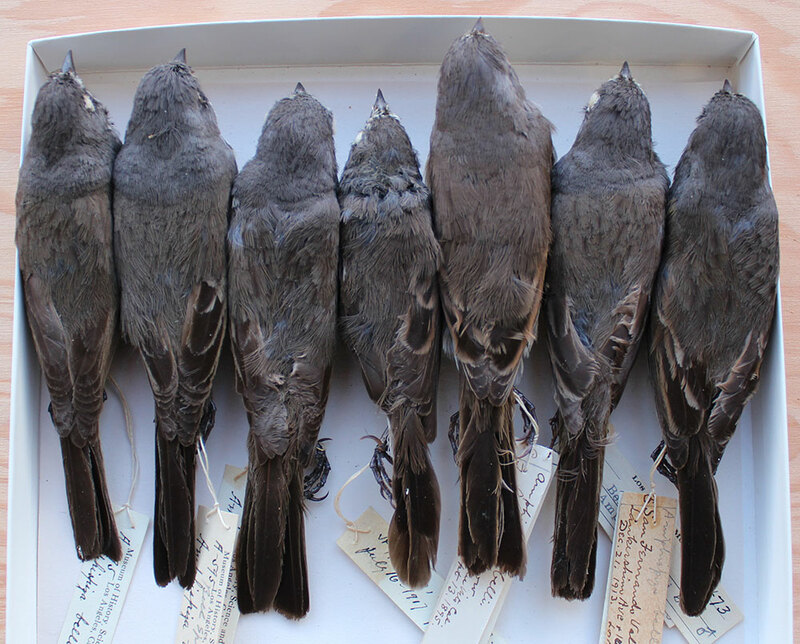 Peter Pyle’s invaluable summary and museum research from 2013, formed the basis for many birders' current understanding of the field characteristics. 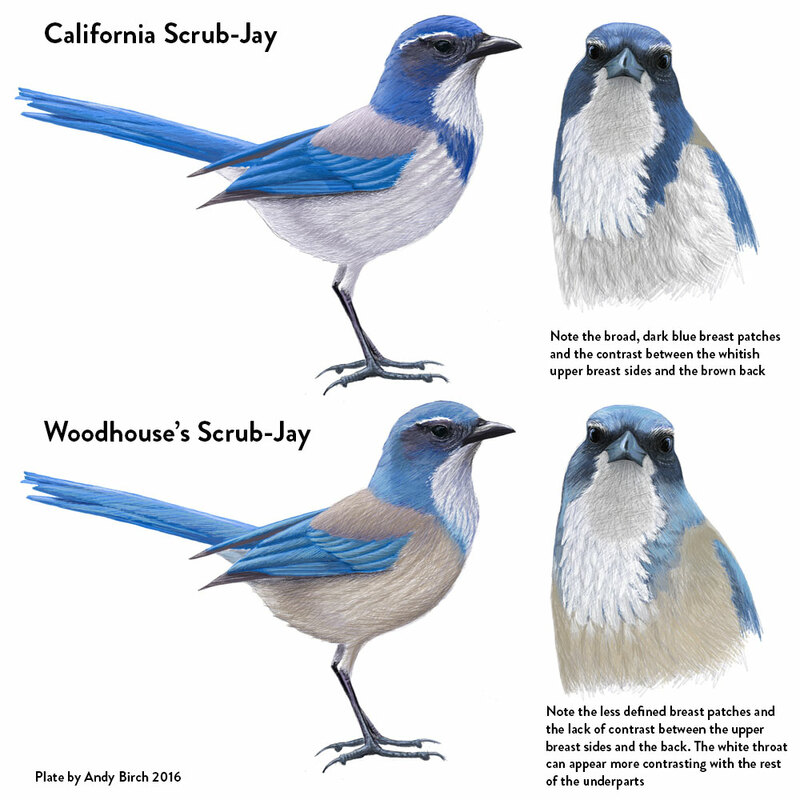 There have also been excellent online notes from David Vander Pluym and Kenn Kauffman in Birdwatching Daily (Jan' 2017). 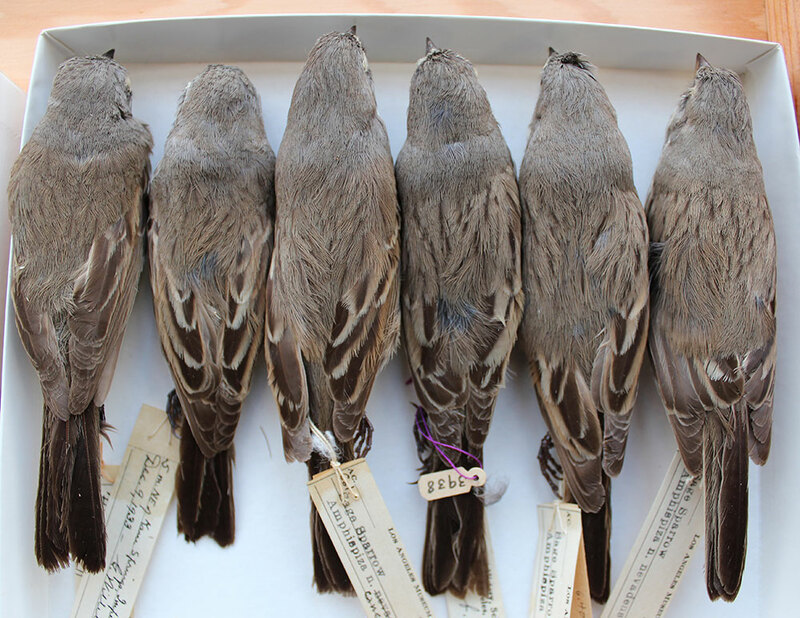 To add to Pyle’s excellent series of museum skin photographs, I visited the LA County Natural History Museum in January 2017 (with thanks to Kimball Garrett) with the purpose of also studying the range of back streaking between canescens Bell’s and Sagebrush Sparrows. That visit, along with studying a wide range of photographs, has formed the basis of this summary. 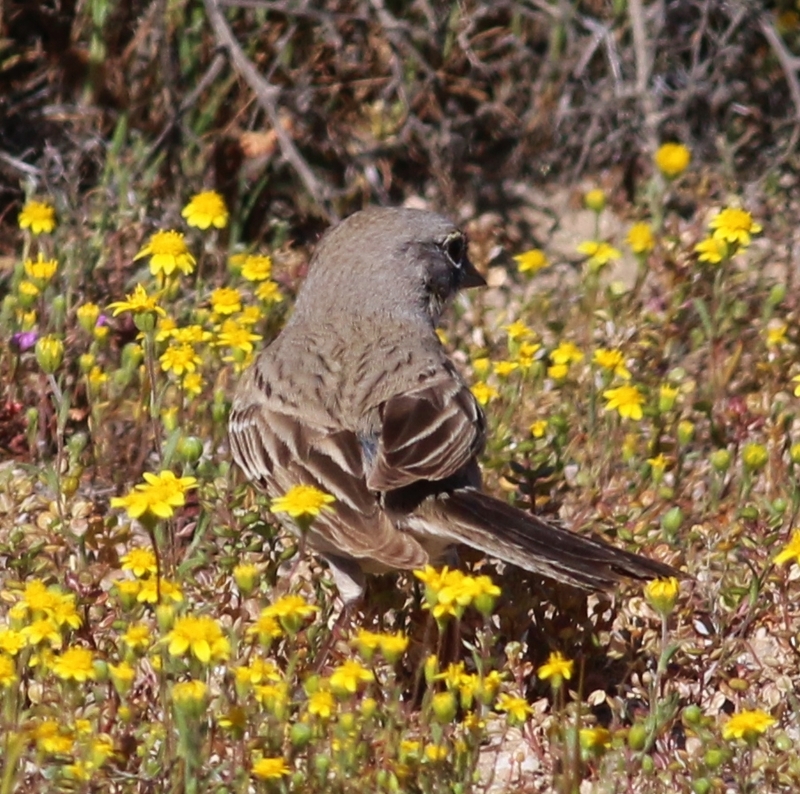 In general, note the less conspicuous streaking on the back and the thicker, blacker malar of Bell's Sparrow of both subspecies belli and canescens. 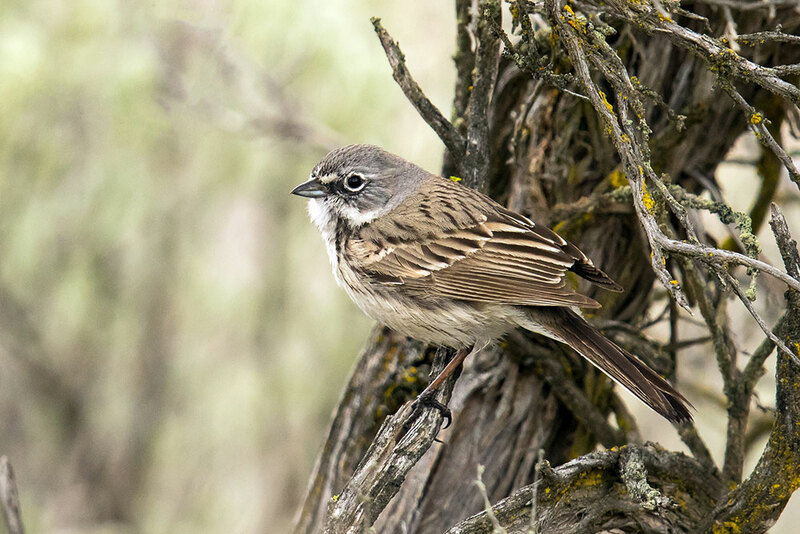 In general, Sagebrush Sparrow has darker, more pronounced back streaking and a weaker, less contrasting malar. 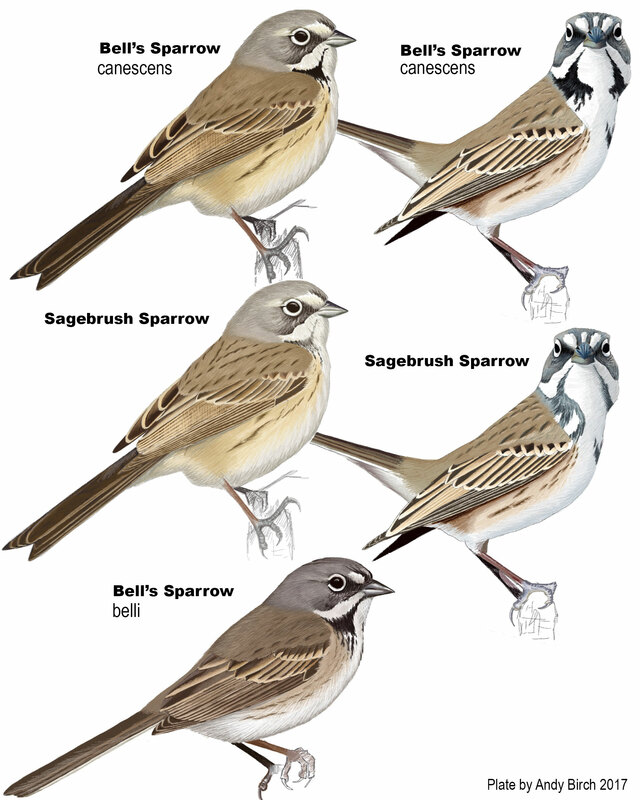 Nominate belli Bell's is a smaller, darker sparrow with a very clean back and a thick broad black malar. 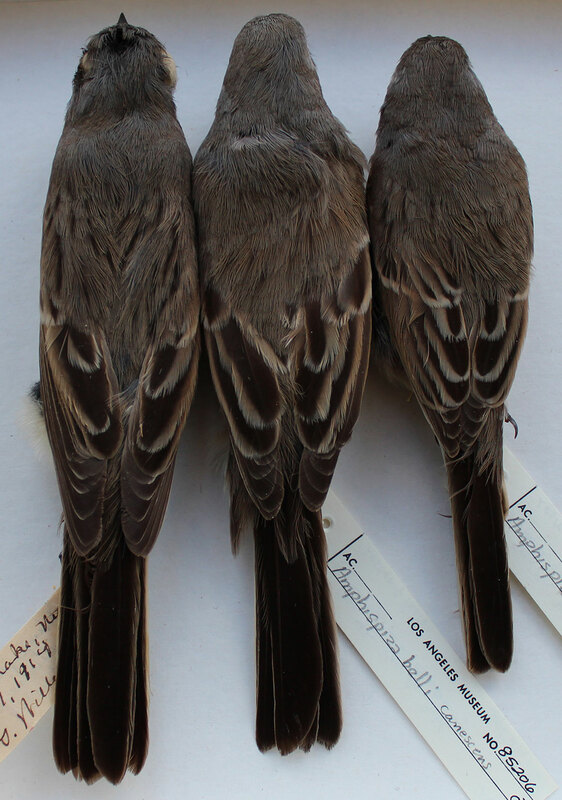 Separating any tricky species pair usually requires looking at a suite of characteristics. 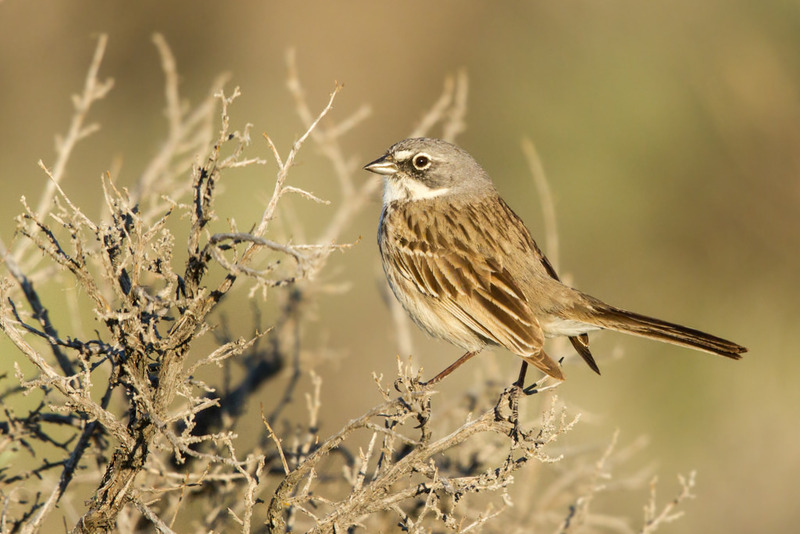 Separating Bell's and Sagebrush Sparrows is no exception. However, to make things easier, the suite of characteristics is at least small. 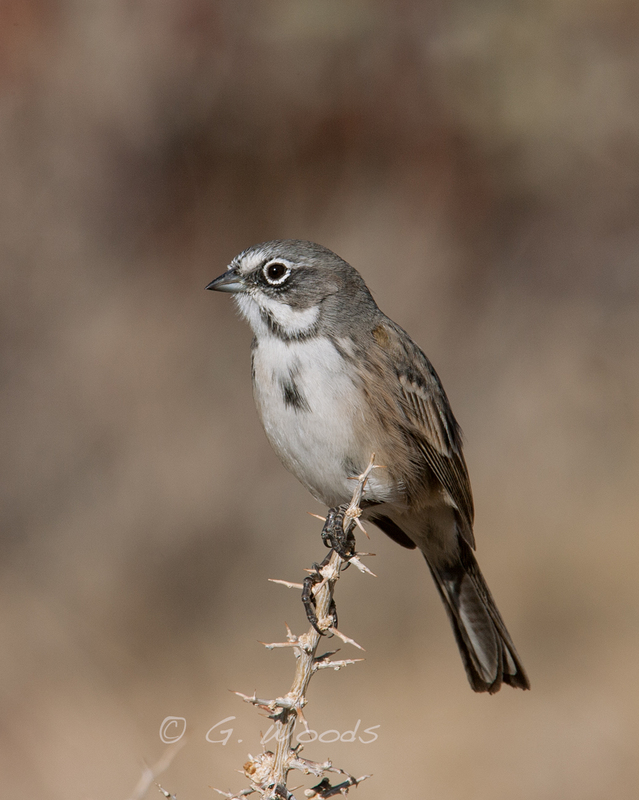 On a classic Sagebrush Sparrow, you will want to see a well-marked, dark-streaked back with a weak, grayish malar. On a canescens Bell's you will want to see a relatively plain, lighter-streaked back with a broad, black malar. 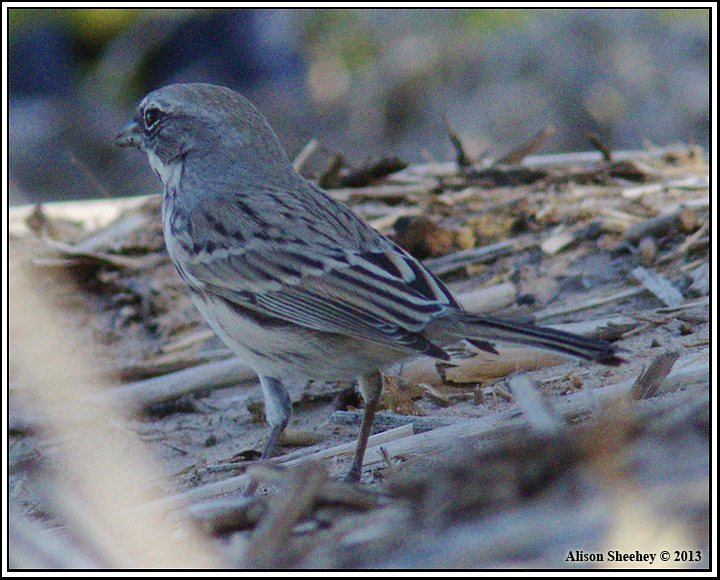 In general, Bell’s Sparrow has a lightly-streaked or unstreaked back. It ranges from unstreaked in belli through to little or moderate streaking in canescens. 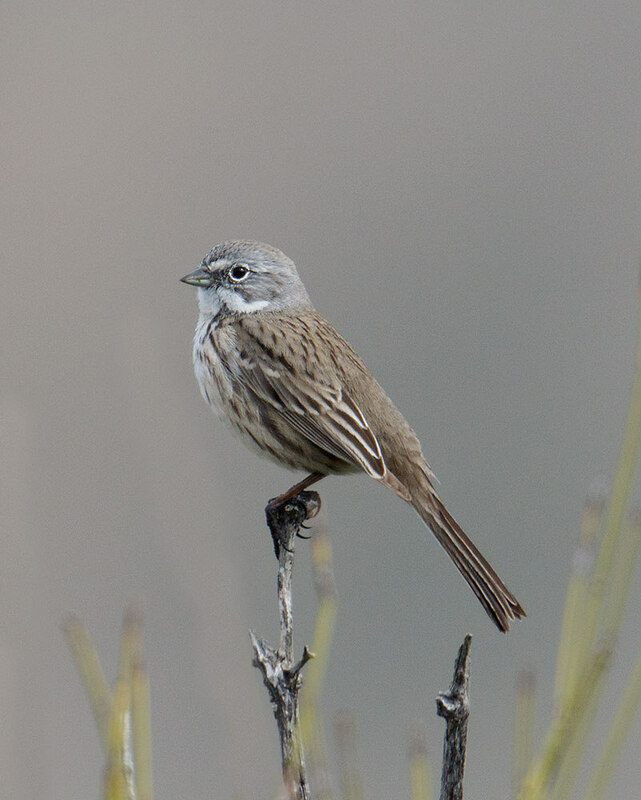 The streaking tends to be brownish and not as dark as a well-marked Sagebrush Sparrow. However, as the museum photos below show, there is a range of back-streaking and potentially a small overlap between canescens and Sagebrush that would likely be indiscernible in the field, even under ideal conditions. 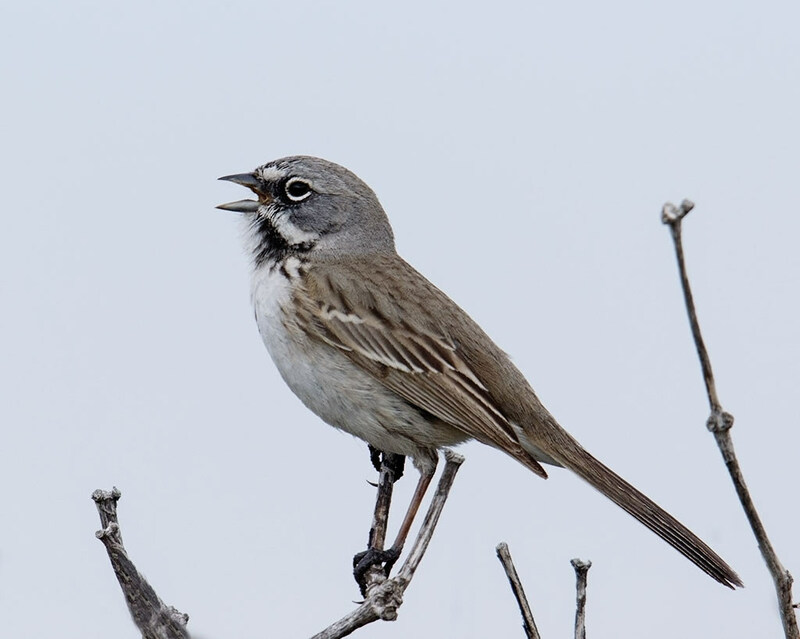 It is true to say that the overall impression of a well-marked canescens Bell’s is that it has a blackish malar that contrasts with the grayish head. 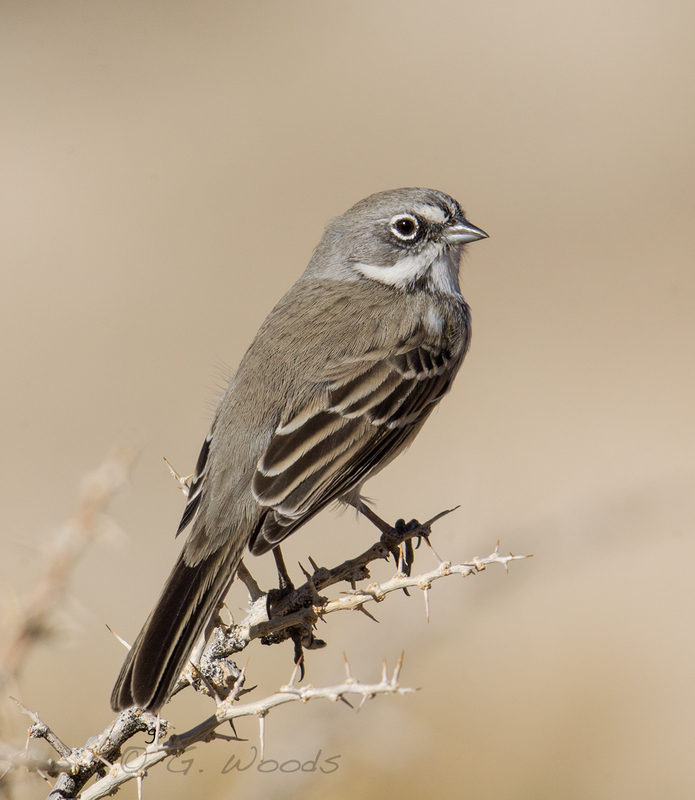 Sagebrush has a weaker, grayer malar which does not contrast as much. However, using malar color alone as an identification feature should be met with caution. 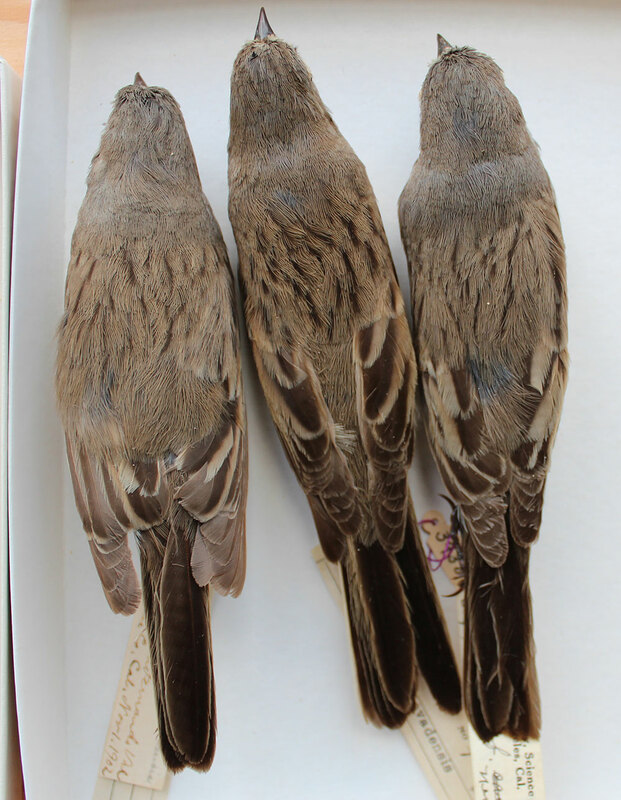 See Jim Cummins' Sagebrush Sparrow photo (left) from Washington, showing a clearly blackish malar contrasting with the gray head. 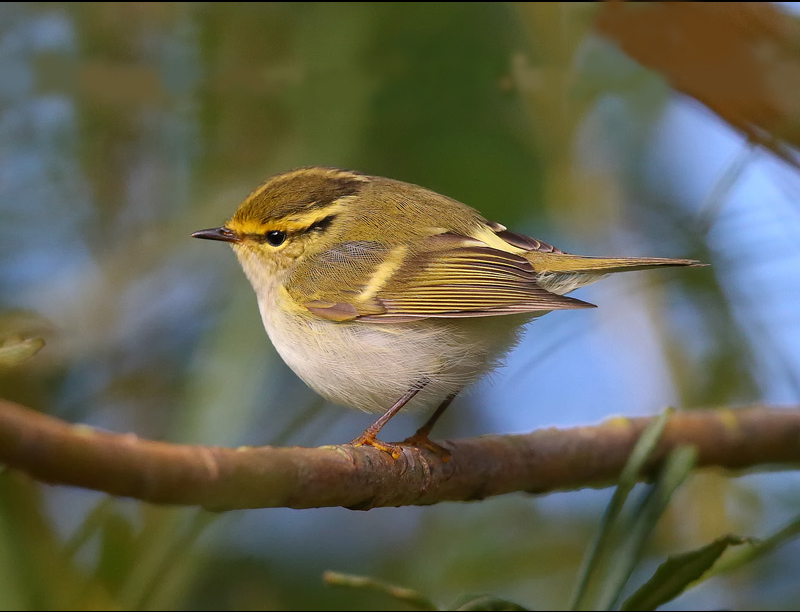 However, the malar on this bird is still small (also has some white streaks in it) compared to the thicker more solidly black malar of a well-marked canescens Bell’s. 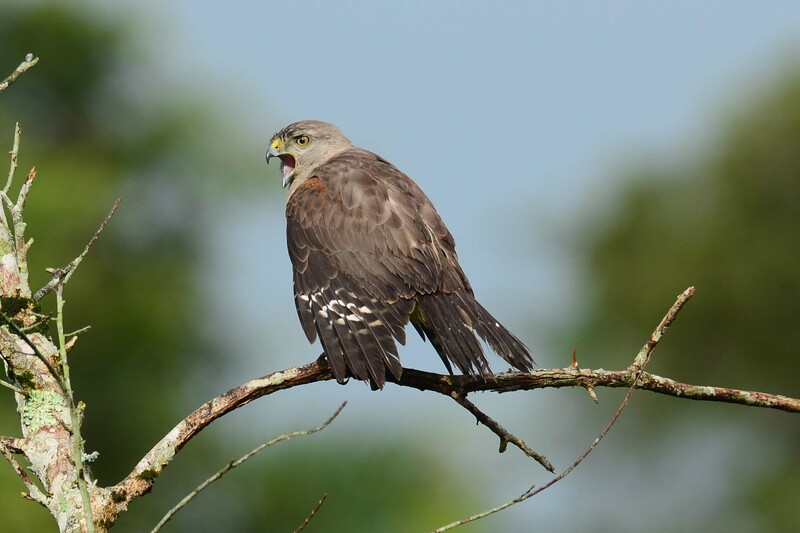 It should be noted that shape and extent of the malar can change dramatically depending on the posture of the bird. Canescens Bell's is, on average, smaller than Sagebrush but there does appear to be overlap and appears to be of little use in the field. 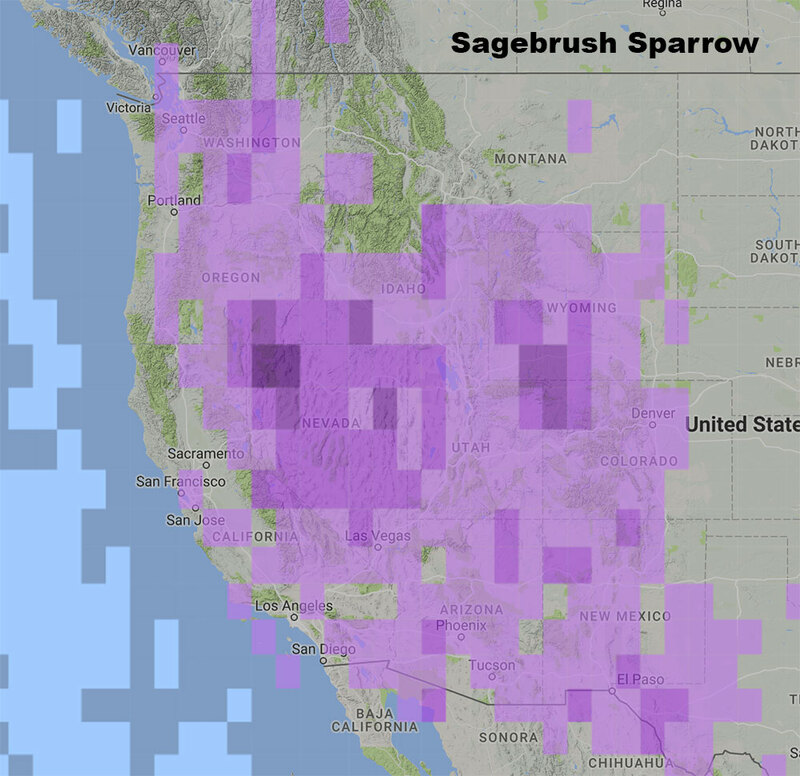 Nominate belli Bell’s is a noticeably smaller sparrow than Sagebrush with what also appears to be a shorter primary projection (no doubt reflecting the longer migrationary capabilities of Sagebrush). To my eye, nominate belli Bell's often possesses a "cuter" look, with a rather short, fine bill and rounded head shape. 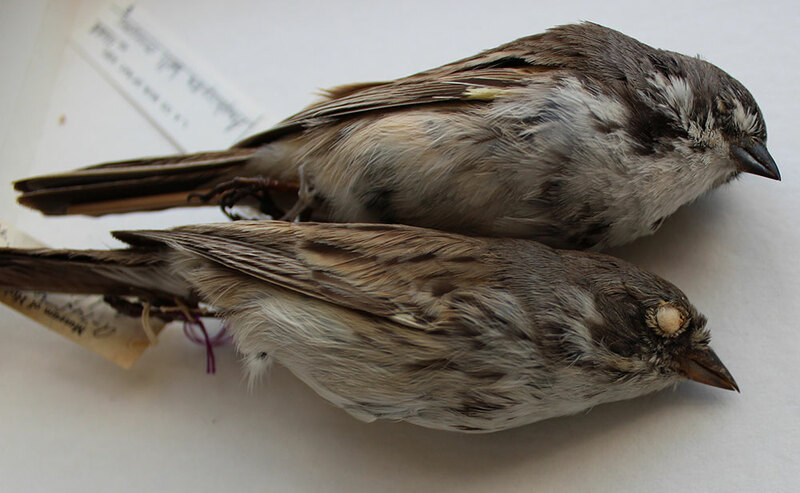 Although the “cuteness” is only possible to assess in photographs of living birds, the relative size difference of the two species is still evident in museum skins. I do wonder if some of the structural differences between belli Bell's and Sagebrush may also apply in a more limited way to canescens Bell's and Sagebrush and may well be worthy of further field observations. 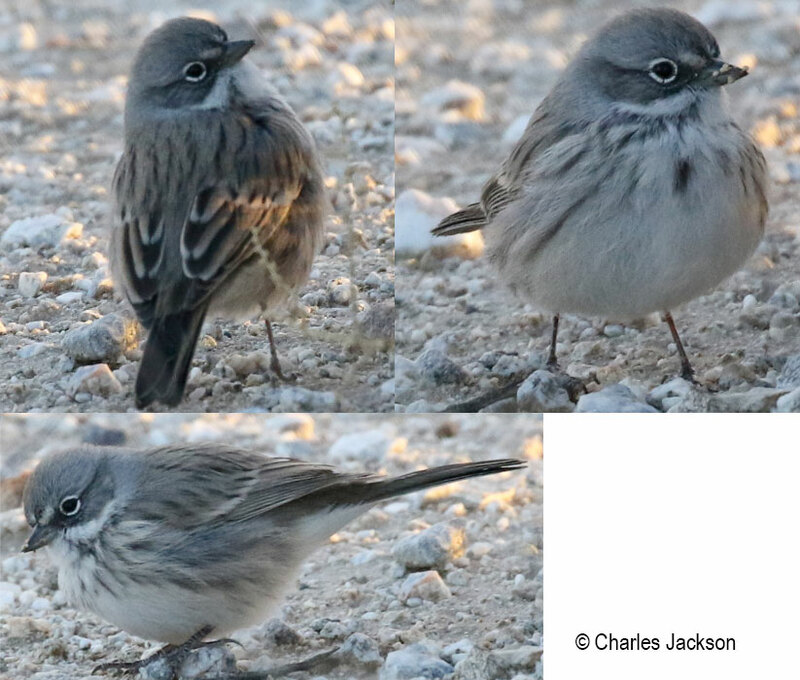 There are many photos of canescens Bell's that hint to a bird that generally has a noticeably shorter, stubbier bill and more rounded head compared to the subtely rangier look of Sagebrush with a longer bill and sloping forehead. However, I struggled to find visually consistent differences in primary projection between canescens Bell's and Sagebrush in photographs. 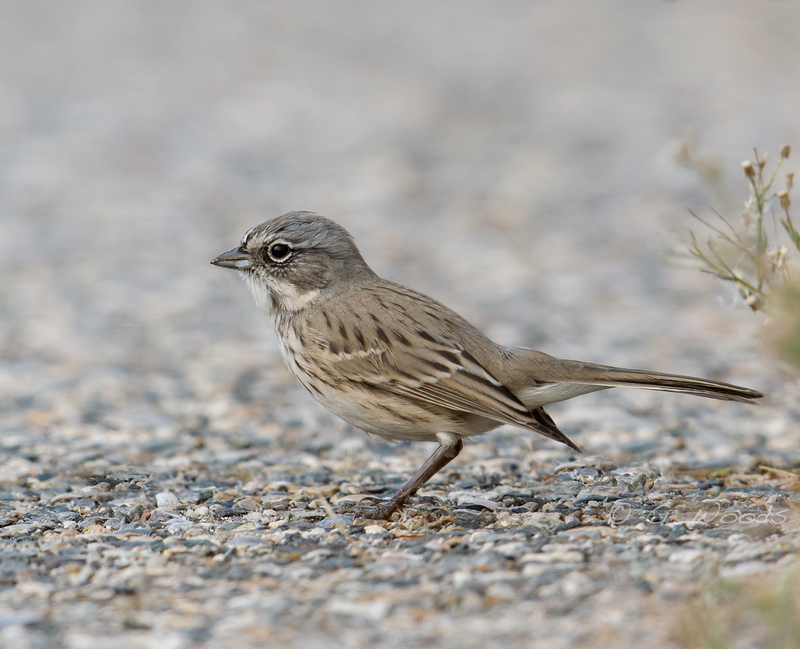 The interior subspecies of Bell's Sparrow canescens can be found in the Mojave Desert region of Southern Nevada and southeastern California and apparently shows limited southward migration. 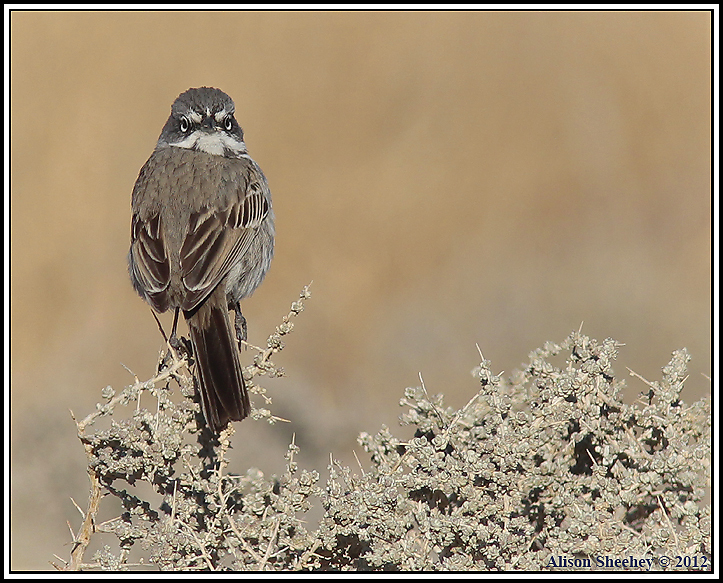 Sagebrush Sparrow breeds throughout the Great Basin and migrates southward in winter, overlapping the winter range of canescens Bell's. 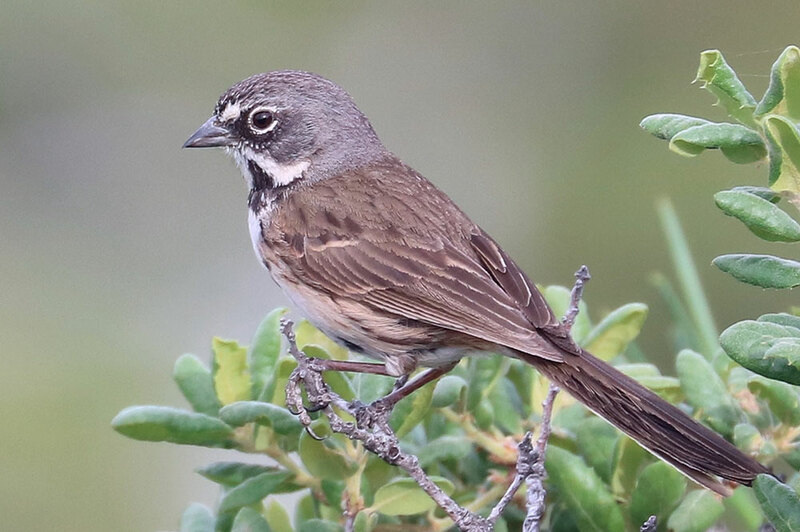 The nominate belli Bell's can be found along the coastal ranges of California and Baja California and is mostly sedentary. However, its territory is invaded each winter by both canescens Bell's and Sagebrush. 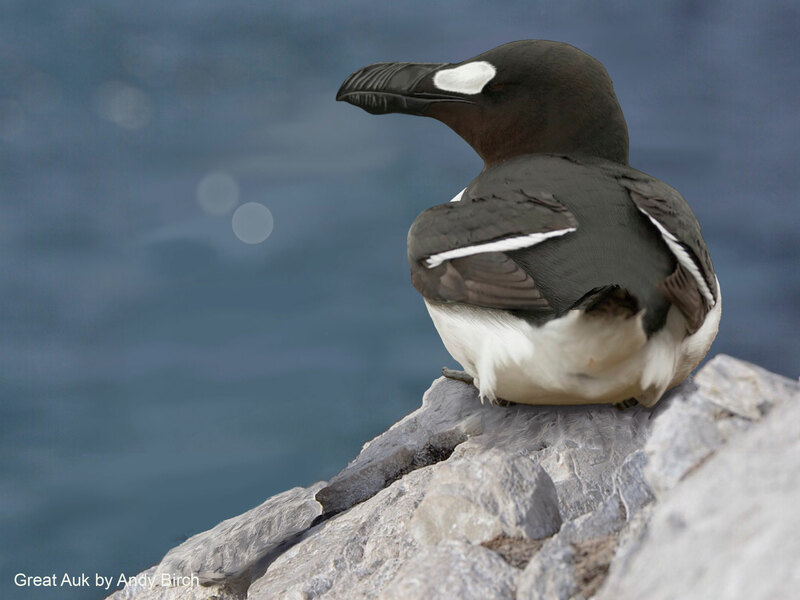 The following hotspots are locations where both species are being reported by observers. There are many photographic reports with each hotspot showing both clear-cut individuals and others that seem less convincing.